Hier findest du die News Feeds unserer Social Media Channels auf einen Blick. 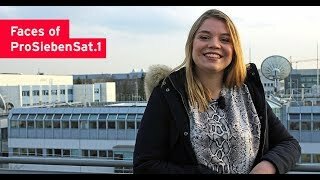 Unsere sieben Fragen gehen heute an Jasmina. 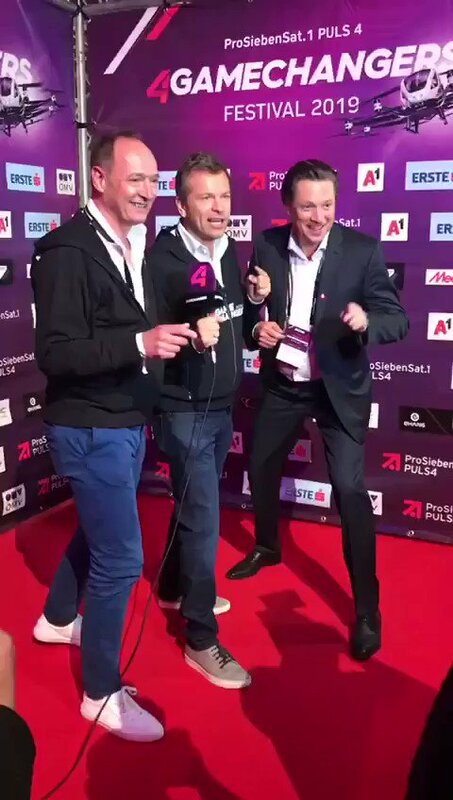 Sie ist Volontärin der Kommunikation im Bereich PR Entertainment bei ProSiebenSat.1 TV Deutschland. Warum sie gern Jess aus „New Girl“ wäre und warum sie sich eigentlich beim Radio gesehen hat, verrät sie uns im Interview. 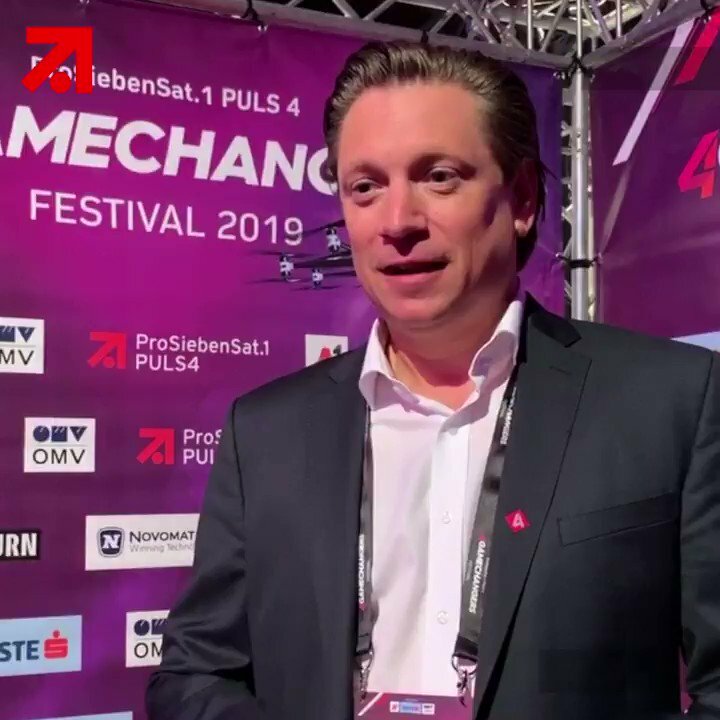 Celebrating the fifth anniversary of the European Media Alliance (EMA), the CEOs of ProSiebenSat.1 Media SE (GSA), Gruppo Mediaset (Italy), Channel 4, Antenna Group (Southeastern Europe), Impresa Group (Portugal) and TVN Discovery (Poland) yesterday convened in Vienna in the context of the international digital #4Gamechangers Festival hosted by ProSiebenSat.1 PULS 4 GmbH to reinforce their commitment to cooperate on strategic core areas. The EMA will serve as a common platform to start joint initiatives in video streaming, technology as well as monetization. 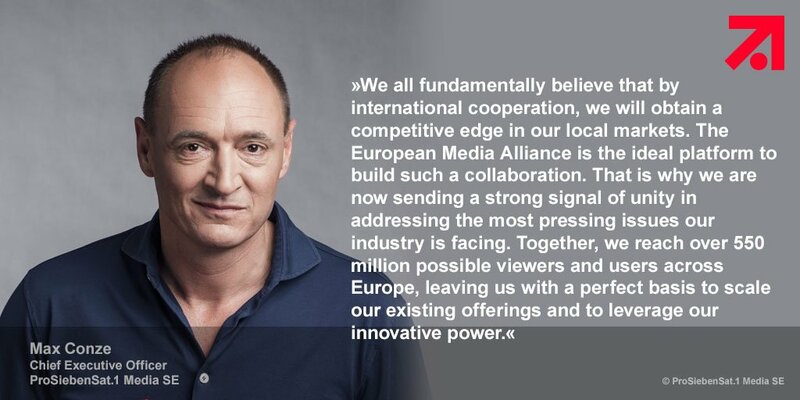 United in their vision to actively shape the European media industry, the EMA members strive to thus advance the digital transformation of the Entertainment business across Europe.